VLC Player is just awesome. It can play almost every possible media format available in the market on any platform. It runs on Windows, Macs, Linux. It’s an irresistible player with loads of features that enhance media playback options. One of such nice features available in VLC Player is its ability to allow users to add sub titles to downloaded movies and TV shows. Lets say you got a movie downloaded from web along with the subtitles file. 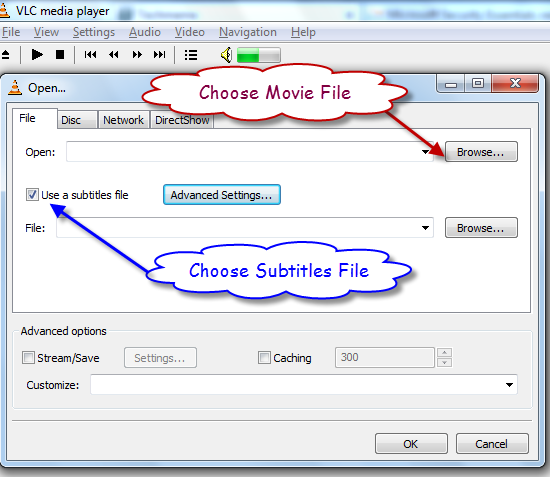 You can play the movie file in VLC Player along with the sub titles by choosing the movie file as well as the sub titles file in the open dialog. In the Open dialog, seect the option “Use a subtitles file” and choose the subtitles file when you open a video. That’s it. VLC Player plays the video along with sub titles.